Sip, Sip, Hooray! 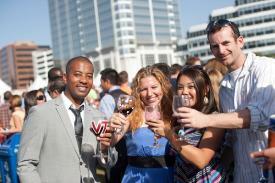 Grab your glass and head on down to Norfolk’s bi-annual Town Point Virginia Wine Festival. Wine Enthusiast Magazine has named Virginia one of the 10 best wine travel destinations in the world! 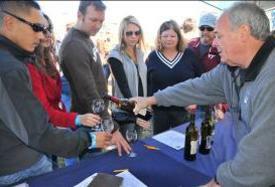 Every May and October, Virginia wineries gather together to create an event that everyone can enjoy. From the Wine connoisseur to the newbies, everyone can find something to their tastes at this weekend Festival! With the gorgeous Elizabeth Rivers as your backdrop, sip on over 200 vintages and blends from over 30 different Virginia wineries while enjoying the ambience Town point Park has to offer. Attend on Saturday for a high energy event packed with different tastings. On Sunday pack a picnic and come enjoy the beautiful weather with your wine. 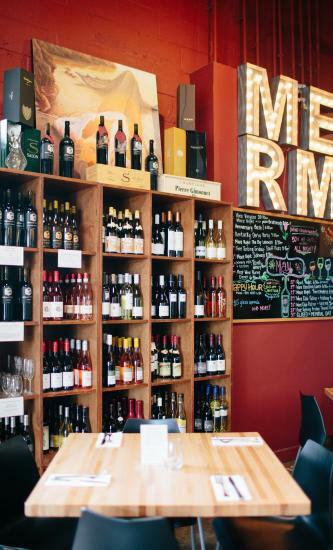 Norfolk&apos;s own Mermaid Winery will be in attendance with their select wines. There will also be vendors from all over Virginia including Bright Meadows Farm Winery, Williamsburg Winery, and many more! Click here to see our events calendar for spring and fall dates.